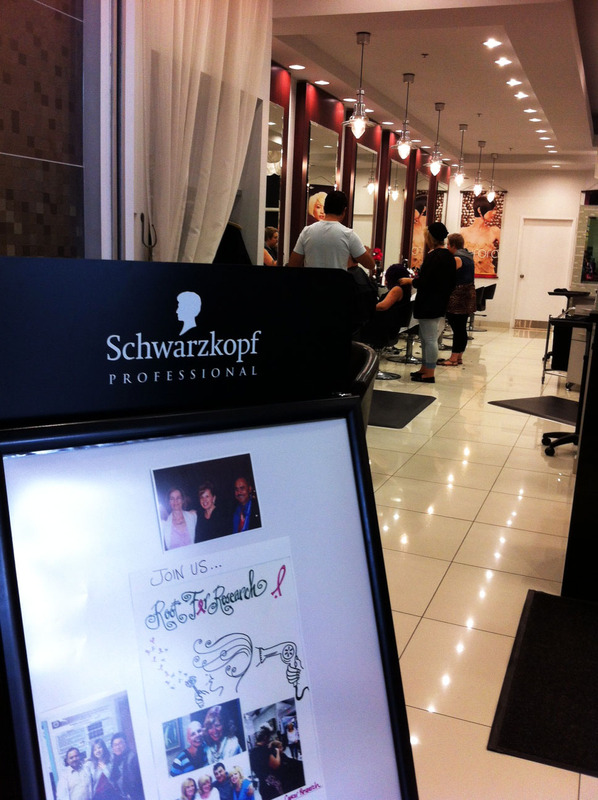 Root For Research at Altimo Hair, Kingsway Mall, Edmonton. 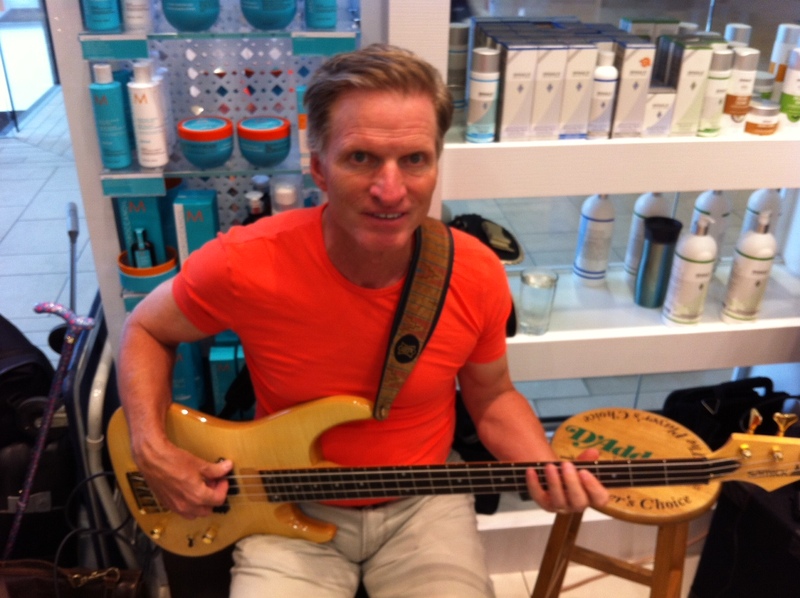 Bass man in the bottles. 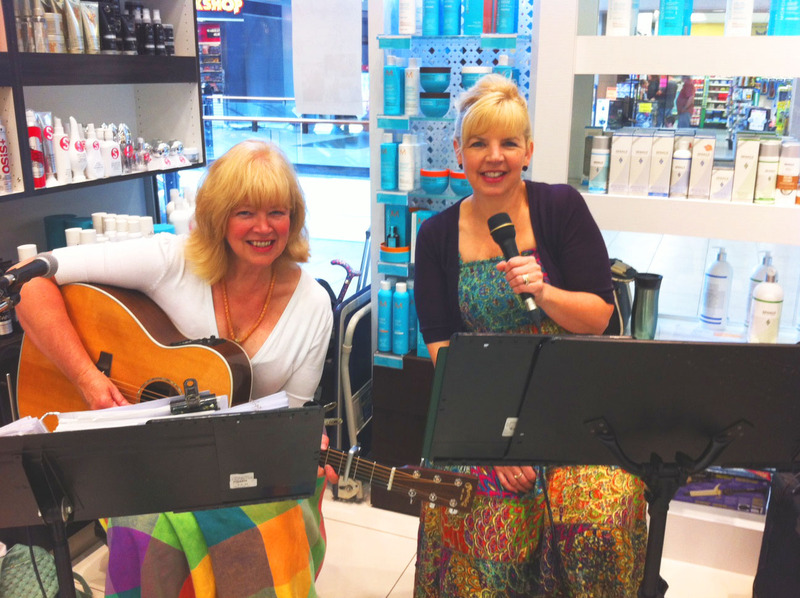 Myself and SpiritLine had a wonderful day of song ….at a hair salon! 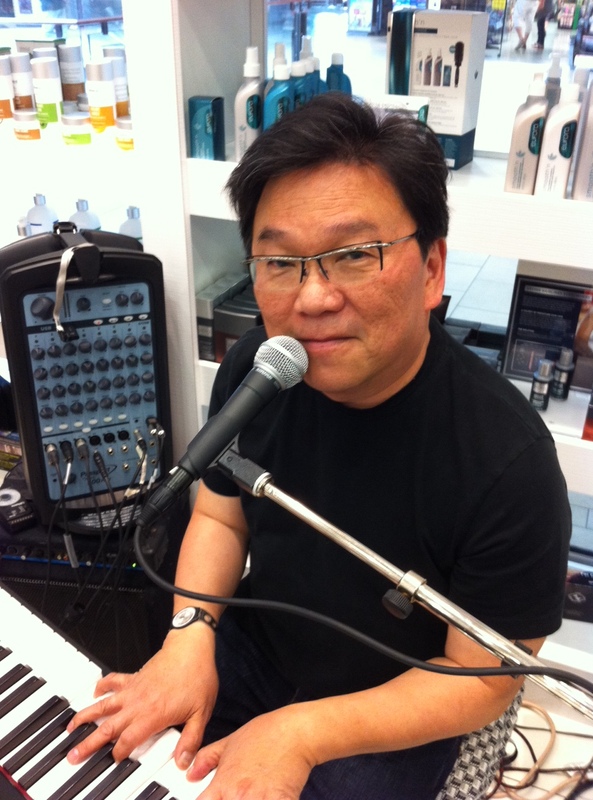 Altimo Hair Salon in Edmonton, Alberta, allowed us to set up our music gear and perform about 75 songs to try and raise money and awareness for Dr. Pandey’s Dandelion Root Research for the prevention of cancer – ( in Windsor Ontario). Mickey at Altimo tried to raise money through his ” working on hair roots ” and we all ‘ rooted ‘ for the success of the day. We had SO much fun and sang and played our hearts out from 10:00 am until 5 pm . We raised some money but are hopeful that next year we will do even better!